Get The Perfect Color The First Time. Every Time. You want more than just durable paint. You want that perfect color - you know, the color you've been searching all over for. You can stop searching. Valspar has it. Only Valspar offers the Perfect Color Guarantee. 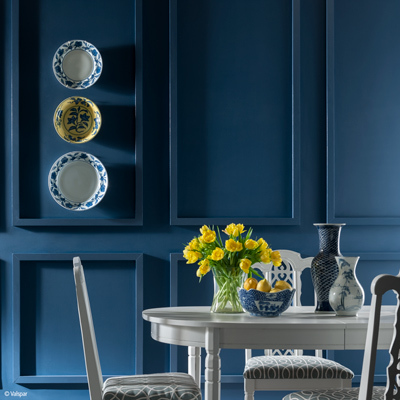 If your first color isn’t just right, Valspar will pay for the cost of a new color through a mail-in rebate. How’s that for peace of mind? Click here for rebate details. Vibrant reds, sky blues, cool whites, and everything in between. Now you can connect to the power of color in a way you couldn't before. Want to see what your whole room would look like with a fresh coat of paint? 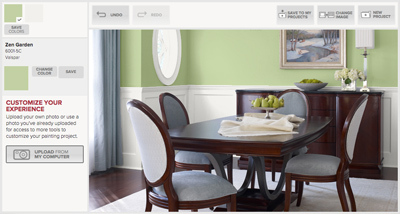 Before you put the brush to the wall, explore the color possibilities with Valspar's virtual painter.